The best Father’s Day gift is sharing it with family! It was a pleasant sight at the Digicel main office on Friday afternoon, where three happy customers were presented with cash prizes and gift vouchers from Digicel’s Father’s Day Text promotion. Digicel C.E.O., Rory Condon, a father himself shared the smiles and joy with the three winners as they received cash gifts and other prizes from Digicel. “It’s always a great feeling to give back to the people on many special occasions. To hear these winners’ plans for Father’s Day of sharing their winnings with their families is moving, that act of selflessness and one that all of us fathers can relate to” says Mr. Rory Condon. What this group of customers had in common was that they all wanted to share their winnings with their families. 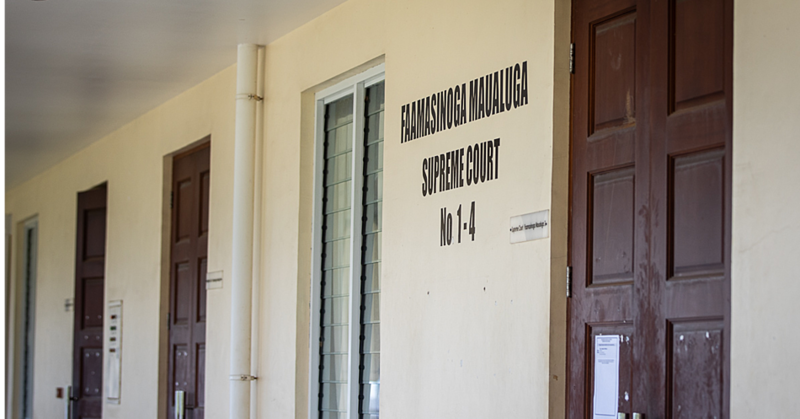 When contacted by Digicel about their prizes, they decided to keep the momentum going and offering to instead share the happiness with their families rather than spoiling themselves on Father’s day weekend. “I will spend it wisely and make sure my family eats well on Sunday while we celebrate. 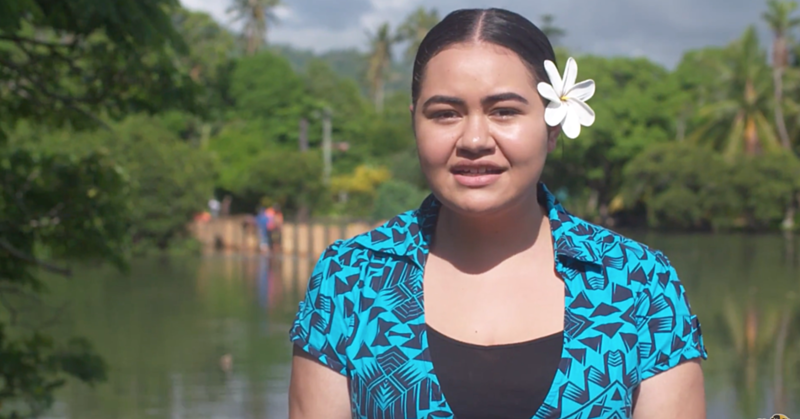 Thank you Digicel, Tanoa and S.S.A.B.” says Amituanai Sevesi, one of the winners. 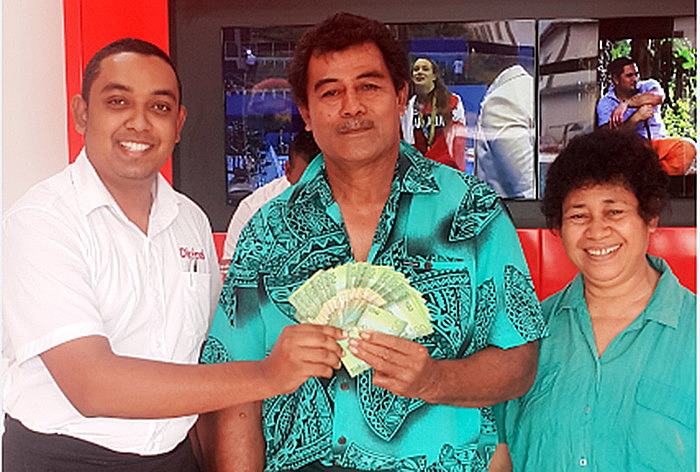 The three lucky winners were Savesi Amituanai of Salailua, Savaii who won first prize and walked away with $3000 cash, a $300 gift voucher from S.S.A.B. and a weekend for 2 at Tanoa Hotel. 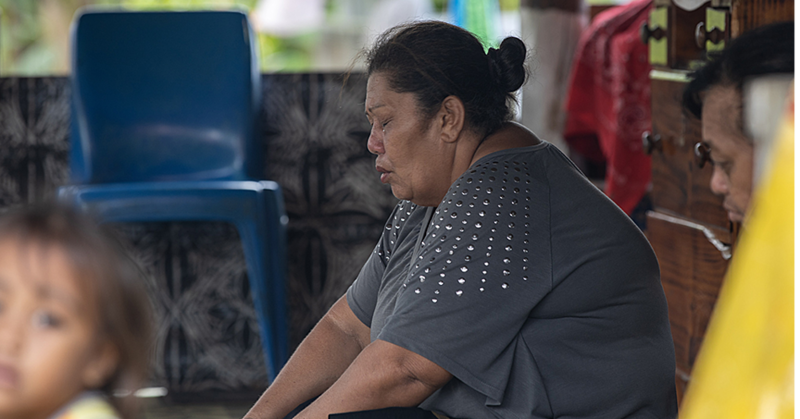 Second prize winner, Bessie Samu of Ululoloa took home $2000 cash and a $200 gift voucher from S.S.A.B. with the third and final winner, Mona Misiluki of Tufuipoa, winning $1000 cash and a $200 gift voucher again from S.S.A.B.